have any of you fancied the idea of raising your own backyard chickens? or do you already have the cute little guys roaming around your yard?! 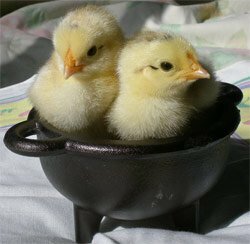 in this months natural awakenings newsletter, they highlight how easy it is to raise your own chickens… i wasn’t really sure how easy it would be, but after reading this article and doing a little research, im starting to think Buddy may have a backyard mate in the near future! pest control – they love eating cockroaches, tomato horn worms, aphids, grubs, or any other pest you don’t want in your yard or garden, even mice! 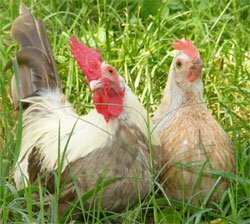 if you have a backyard chicken or end up getting started because of this post, i would LOVE to hear all about the furry little member/s of your family!